Buddy and Max wanted to learn all about dinosaurs, space, animals, and many Disney characters. 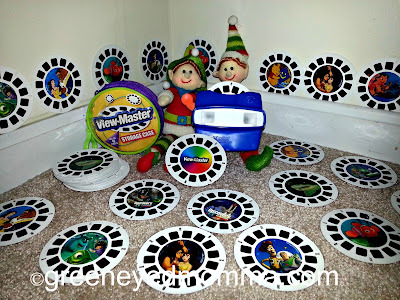 They wanted to see why the kids love the View Master, and looked at each of the reels. Did you have a View Master as a child? Did you learn and look at the pictures for hours as a kid? Does your child have a View Master? If you could design a reel, and select the pictures; what would you want to see?